Born in Lancashire England , with an Austrian Jewish photographer father, and a cabaret-singing English mother, I trained at LAMDA on the three year professional training , and worked primarily as a professional actor until 1992, mainly in theatre and television in England. I worked in theatres throughout the UK, directed by Lindsay Posner, Richard Cottrell and by Adrian Noble, among others. My film work included leading roles written by Alan Bennett, Alan Bleasdale, Stephen Lowe, Mike Stott. When in London I was co-director of two theatre companies , one for new writing GENTLE READER, and another COMMONWEAL , a touring classical ensemble company . Primary inspirational figures are Peter Brook and Bruce Myers, one of Brook’s mainstay actors, with whom I worked at the Tramway in Glasgow. More recently I am much involved with The Michael Chekhov Association I have a certificate from them as a teacher of Chekhov Technique. My specialty is dynamic approaches to voice and poetic text, inspired by such people as Wilson Knight, Berry and Linklater, and utilizing Michael Chekhov technique.I also work with other professions and interest groups who wish to develop their vocal skills. Acting workshops focus now on Michael Chekhov technique and other psycho-physical process, and I have recently set up Chekhov Training and Performance Ireland which specialises in that work. Our summer school is in August on NUI Galway Campus. I have worked with all levels of students, including on a number of applied drama modules, in particular working with medical students. A copy of my paper OPERATING THEATRE, about one devising project is reproduced in full in Writings on this blog. I was invited for a short residency at Massachusetts Institute of Technology, and at the University of Southern Maine, Portland, in the Spring of 2005. On the strength of the former I was invited back to MIT as Artist-in-Residence for Spring 2006. I ran my own company Theatrecorp 2004-2015 which produced world classics, and in its more recent productions specialised in using the Chekhov Technique as the main plank of the rehearsal process. I am hoping that CTPI will continue this process of creating productions through the Chekhov Technique. 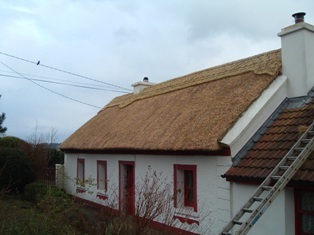 I live in a thatched cottage in Co. Galway Ireland.